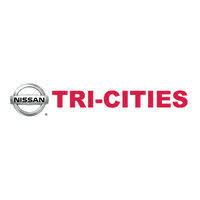 Sorry, we couldn't find any Tri Cities Nissan listings that matched your search criteria. I was pleased with the service. I would recommend seeing them if your interested in purchasing a car. Great experience and a great place to purchase a car or truck! Everything was good just not the right truck. I had a great experience with the salesman Marcell. I purchased the vehicle and I was very satisfied by the attitude and lack of pressure by the sales team. All my contacts with this dealership were via email. The Sales Rep responded promptly to my request for the Carfax on the vehicle, and the Internet/Finance Manager also followed up with me via email. My experience with Tri-Cities Nissan has been positive thus far. Sidney was very quick to respond and answered all of my questions. They had all the paperwork ready to go. The only negatives I noticed were that I didn't get what I wanted for my trade in and I felt a little rushed. I don't know if it was because they were having their Christmas dinner that day or if they were trying to be polite since they knew I worked the night prior. Either was it felt a little intimidating rushing through the important stuff. Robbie contacted me within minutes of my inquiry. We set a time and met. We drove the car, he answered all my questions. Unfortunately we were not able to agree on price, that was my lack of research on my cars value. No high pressure. I would go back and buy there. everything went well salesman did a good job telling me about the car. very quick to respond thousand dollarsto high but maybe can work it out? very friendly. Salesman Andy responded and was extremely nice. The salesman at the car lot was a total jerk. We had cash money to spend and he was apparently personally offended by our offer which was low but we were prepared to haggle. His exact words were "We don't have anything for you here." and walked off. Will never go there again. We took our cash money and bought a truck the very next day in Foscoe, N.C.